Hello! I didn’t meant to take such a long break but this summer has had me busy busy! I feel like everything I do lately is in bits and pieces. A little bit here, and a little bit there is how I get things done these days! This summer I’ve been able to enjoy my kids, without the anxiety of “needing to keep them busy and making sure they were having fun”…for maybe the first time ever. Last summer I had a newborn baby and we stayed at home all summer and really did nothing, except play in the yard and go to parks. I felt so bad, and felt so much guilt that I hadn’t made a “fun” summer for my kids. After summer was over and school had started my friend asked my oldest how his summer was, and he said “it was SO much fun!”. He said it like it was the best summer he’d ever had!! I was the only person who thought we’d had a lame summer, and my kids were just happy playing on the slip n’ slide and eating popsicles all summer long. They were in heaven! So lesson learned…and I don’t stress out about summer anymore. We still go do a lot of fun things, but we also spend a lot of time at home doing nothing and being together. It’s kind of awesome, and I’m swearing off summer Mom guilt for good. I was so honored to get to take part in July’s Quilty Box! Subscription boxes are so much fun…and I love that Quilty Box donates a portion of their sales to Quilts for Kids! I won’t giveaway all of July’s box details for those of you that haven’t received it…but it may have some Hello Jane in it, and how fun is this magnet!? It is so strong, my husband promptly tried to steal it. I can stick my snip scissors on it next to my sewing machine and it’s a perfect holding spot. I also designed a pattern for this Quilty Box that uses the fabric cuts provided in the box (except the white fabric). You can find out more about and subscribe to Quilty Box here, and I have a box to giveaway to one of you! Love the color green and can’t resist a good plaid! Variation in size of print. And colors not to matchy matchy. Like colors that clash a bit with each other. I love the Flower Box pattern. I love all greens and jewel tones. I love bright colors. Hello Jane fits the bill. I tend to buy fabric lines that have smaller prints and really good blenders, rather than big impressive or bold prints (though a couple of those are fine too, I just respond to them much less than the always usable supporting fabrics). I especially look for very dark, plummy purples. I don’t know why they’re so hard to find, but I almost always buy them when I find them in just the right shade. Oh, I love the quilt pattern and that stack of fabrics, too. I tend to buy small prints in my favorite colors–either modern pastels, or red, navy, aqua. And I love a good white background! I look for aqua and coral colors but I love a good floral print. I love purple! And lots of flowers! I loved the sky blue/aqua color you used in Oh Clementine (the darker blue). I also love, love, love, loved the daisy print in that line–I wish I had purchased a bolt of it in red. I’ve been ironing and cutting up some Hello Jane today and the print with the vintage-y flowers with the loop makes me smile every time I see it. I look for usefulness in fabric–that means one color or maybe two analogous colors, but not a lot of different colors in one print. Blenders, I guess you call them, but not blah blenders. I love those fabric cuts shown in the Quilty Box picture! My new favorites are bright colors and geometrics! I like bold colors and am always drawn to red and aqua! Thanks for reminding us that we don’t have to keep our kids busy every moment of the day! When looking at a fabric line I want all of the prints and colors to coordinate. Recently I bought a jelly roll and a charm pack of 2 different lines. The fabric lines had great prints with colors I loved, but there were several in each that had absolutely nothing to do with the other prints or colors. There were just a few, but there were enough that I couldn’t make my project until I additional fabric. It was frustrating, but challenging. Thanks for this opportunity. I look for an anchor design or color that the other fabrics play off. I look for lines that have a lot of basics in them. I like the florals and/or focus prints, but I find that I run out of good basics a lot (stripes, dots, geometric prints, etc.). I’m really bad at making myself mix fabric lines, but when I have more basics, I find that I’m able to mix fabric lines more easily. Love your Flower Box pattern! Very pretty! I love all things nautical. I look for cheerful colors. I want my quilts to be a pop of color and useful. I LOVE your style! I’ve debated and dithered on the quilty box, there are a lot of them out there and I’ve been comparing and putting off making a decision. Mostly because I don’t really need to add to my stash. But it is so much fun watching someone else open them too. I love the addition of lavender to your Hello Jane line! It is my new favorite! I like bright colours and am always tempted by aqua/teal/turquoise colours. saturated color is great in a fabric line. i think you have done a great job of that in your previous lines. Keep up the fabric goodness! After getting rid of scraps making a strip quilt I will say the first thing I must be looking at is how much blue there is in the collection and I tend to wanting at least some geometrics. Wowww! That is a big question and I’m sure you will get many different viewpoints. I like small prints, tonals,blenders and POLKA DOTS! I am at a stage in my life that I am drawn to bright colors and not necessarily matchy-matchy. Anything with a scottish terrier in the print automatically goes into my stash as we work with scottie rescue and have adopted 13 older unwanted scotties. I also sew a lot of items with scottie fabrics to sell to help out with rescue. 1930s colors and prints with a little text fabric added for an unexpected pop makes my heart go pitter patter. I love bright, happy colors and small prints. Thanks for the give away! I love all your collections!! One of my most, most favorites right now, is the blues and lavenders!!! They compliment each other fabulously. I’m doing a baby quilt in them. You are a great mom to let your kids play, play, play in their own yards. All 4 of my kids are raised and married now, but are still very close. I think that is because they learned to play together. Keep up the wonderful mothering! My favorite color right now is teal and a butter yellow. Color and prints draw me in first. I like having a group of fabrics that go together. I love that you have discovered the guilt-free summers of old! Enjoy! I love all shades of red. Thanks for the giveaway! I like the green sashing in your quilt! I look for fabric collections that have a variety of scale and mix of both floral and geometric – text is always welcome too! I love all colors as long as they’re modern or 30’s colors that are clear and bright. I hope my kids feel as good about our low key summer as yours do! I always like seeing small prints and blenders in a fabric line, but i also love big statement prints! That’s probably not helpful… sorry! I love most colors and usually stay far away from dark. When I see a fabric and it makes me smile, I buy some of it but gravitate to blenders. They are so useful. Bright colors are my new favorite, turquoise-pink etc. Also include some backgrounds. What I’m always looking for is a nice collection that features the west highland white terrier dog. It seems that Scotties are the choice of designers but not the westie. I do a lot of charity quilting for westie rescue groups and this would do really well. I’ve often wondered about the Quilty boxes and have considered ordering one just to see what it’s all about. I love geometric prints. I’m also loving color schemes with light grays in them. I like jewel tones–especially deep rose, aquas, blues and purples. Oh fun! I love how your lines are vintage-inspired. I am a sucker for small prints, especially florals. And while gray and black get a lot of love, I prefer a chocolate brown. I love a good plaid and a smallish polka dot in a collection, and I’m a sucker for the blue/green/purple side of the color wheel ;) So exciting that you’re working on a new collection! I like blenders that have one or at most two colors in them. I have lots of dots but small prints are nice. One larger, more colorful print to pull them all together is nice. The first thing I look for: colors in the collection. If the colorways don’t pull me in I don’t really look any closer. I’m really in to green lately- bright summer grass is green type of green! I love blues and greys! I like some good blenders. One color I seem to always run out of is yellow. Your 9 patch quilt is very cute. And that Zirkle Magnet — I have seen that and think it would be so nice to have my pins spread out and easy to grab. I love blues, and my blue fabric collection is definitely out of control at this point! I like to throw in a bright color for contrast and to add an element of surprise–a teal, a purple, or a even bright splash of yellow. I love to see great blenders and basics. Small scale prints that just scream to be used as bindings. I tend to gravitate to whimsical prints and fun (bright) colors…just can’t resist them! BTW, my 4th of July quilt looks very similar to yours (still in pieces)…only mine was supposed to be done last year! LOL! I love the Flower Box pattern! I like geometric prints, preferably small ones. I love bright colors…red is the fav…and small scale prints. AND, I love your book and have made several of the quilts, some more than once. Do you have another in the making? Hope so! I love fun unique novelty themes! Also a stripe is good to have for bindings or borders. I like lots of color too! I look for fabrics that will add variety to my current stash. I like a scrappy look. I try to vary my stash. I do like traditional fabric but most fun to buy modern bright colors. I like some reds and corals. Bright happy colors. Text prints are great. Like your new pattern. I love basics, grids, geometric, triangles, etc. colors lately: gray, white, turquoise, orange(light) and dark gray. I’d love to see some of the fabric designs from the 50’s in colors of today! I think you should name your new line “Ashton Hill” :) j.k. I love it when a collection includes a stripe or a plaid. Thanks! I love a detailed, focal print that can be fussy cut and blenders that work with other fabric collections. I love red and polka dots are irresistible! I love all bright colors but blue is my favorite. All blues fabrics…..
Love the bright colors. Oh Clementine is one of my favorites, but Hello Jane is so fun too! Love that pattern!!! And I love hello Jane. I think it’s my fave so far! Can’t wait to see what else you come up with!! I am glad to hear that you took some time to enjoy your family. I really like the simplicity of the 9-patch. I normally keep to more of the earth tones but I am venturing out to other colors. Right now the bright colors are calling my name. I liked the Hello Jane as soon as I saw it. Love your “failed” summer story! We traveled very little in the summer when our children were small. I too felt the guilt of that and yet our 30-something children still share stories of their fun summers at home. It’s survivable! I lean toward happy colors, 1930’s prints, florals/leaves/vines (organic prints), blenders, maybe at least one geometric but no directional prints. I find directional prints frustrating for borders and some blocks. Love your current line; I own precuts in it. Need some border length yardage and I’m all set. I love seeing small and large florals in the same line. Thanks for the giveaway! I like clear colors and gravitate toward a line with plaids, stripes, and polka dots. It doesn’t have to have all three but I want something that stops the eye or makes me want to move. I hope this helps! I love to sew from pre-cuts, you have bite from whole collection and don’t need to choose :). Best are paisley patterns and small polka dots. Love when there are two or three of each color and everything is a bit different. I’m glad to hear that you are enjoying this summer. It’s amazing how things change when the kids grow up and you can actually spend time DOING things together. :-) I really like the Flower Box pattern, mostly because it’s so colorful and fun! What do I look for in a fabric line? I love bright, crisp colors. I have come to really like working with somewhat whimsical prints too, but the crisp colors is what draws me in every single time. Thanks for all YOU do, and enjoy the rest of summer. I look for a nice selection of colours that coordinate and contrast well. I like to see a couple of neutrals, a check or two and dots are always a welcome addition. Glad you had a lovely summer. I’m really wanting to find a good fabric line in Peach, Gray, Lavender and White. I like small prints and would LOVE a plaid in these colors! And a Quilty Box would be so fun! New fabric is a treat…I usually buy old sheets! I like RED, black, blues, greens. A good Dottie, a fun stripe. I like LOTS of prints in a line so I can make a quilt without lots of duplicates. I love a Fabric line that makes me happy inside and puts a smile on my face. I always love white, red and aqua in a fabric collection. And dots there need to be some kind of dots. I look for fabrics that will work with the fabrics in my stash. I like turquoise, chartreuse and pink. Love polka dots–esp. ones that aren’t perfectly round, stripes & plaids and also vintage looking florals in more modern colors! Your green sashing makes for an incredible quilt! LOve it! I’m a sucker for a floral design and a bit of whimsy! what a wonderful observation about kids summers, but don’t forget, ALL of life, and everyones lives, would be sooo much better and happier and more productive etc etc, without guilt, it’s just not even comparable!!! any fabric that has some kind of green in it pulls me like a magnet!!!! I love navy blue, I love polka dots that are asymmetrical and don’t line up perfectly, and in a fabric line I love it when the colors seem like they might have been pulled from someone’s stash–when there is variation within the individual colors, when they aren’t all a perfect match. I love how all of your fabric lines coordinate, giving me innumerable choices in color and design. I generally like small prints in floral and geometric shapes, then add in some stripes and polka dots. The combination of your bright, happy fabrics and your amazing quilt patterns guarantees success! I love how some collections have a rainbow effect and go together so perfectly. Some of them don’t and are too busy. I like using all shades of blue. As most quilters do, I make most of my quilts as gifts. Although I LOVE beautiful florals and girlie fabrics, I wish for a line that has unisex prints and colors, kinda like your fabrics do! Keep up the good work! I love fabrics that contain some white for a fresh, clean look. Really liking indigo blue too. I love when I can mix and match your collections, so more purples would be great. And I love the range of colors in Hello Jane, along with the textured solids. Anything you do will be great. Thanks for the chance to win that awesome box of goodies! I like to see fabrics that coordinate with each other to make putting a quilt together as easy as possible! Thanks for the giveaway! I find myself liking brighter, more cheerful fabrics the older I get. Small to medium size prints are great and I always love a stripe or plaid to finish a quilt with a fun binding. If the fabric is a pleasure to look at, that works for me. It can be any color combination. Right now I am interested in a collection for a little boy quilt, especially animals theme or nautical theme. My favorites are blues and tone on tone fabrics. I use fabrics that “feel” right together. I look for the way the fabrics are next to each other, loving interesting color combinations. Good grief I love fabric. I love so many different kinds of fabric but first and foremost, I look for quality. Next I look for a fabric that “speaks” to me one that inspires imagination and creativity. If it can have a little quirk to it as well, so much the better. I especially love gingham and floral prints. I think it is the vibrancy of a line that I love – be it pastel or primary colors. Love your new pattern you designed for the Quilty Box – thank you for this special giveaway chance. I love bright colors with the designs small to medium in size. I have been working lately with scrap fabric that a new group that go together would be wonderful. I like a collection that has fabric That plays well with the rest of my stash and that has a nice variety within the collection. I love fun, vibrant colors. I don’t tend to use a lot of florals because I feel like that eliminates men from liking the quilts as much. I love geometric patterns and anything with blues in it. I love the Flower Box pattern and would love to make that quilt! 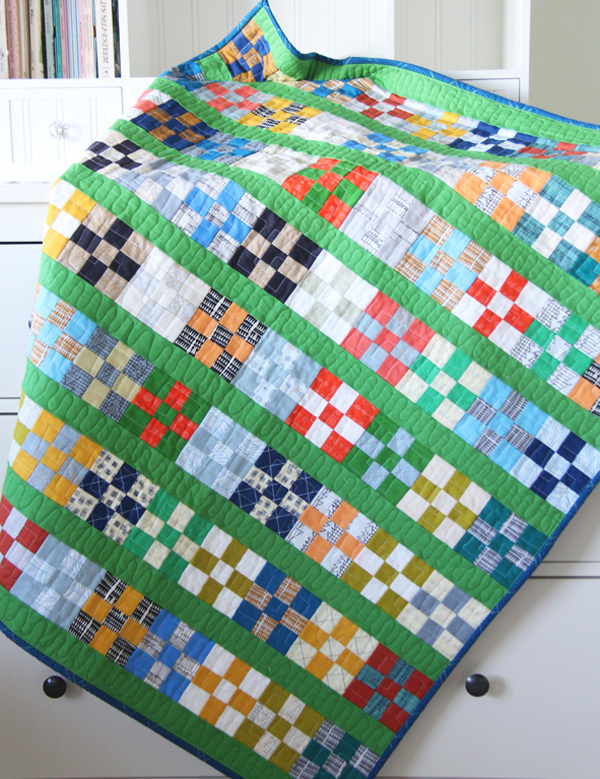 The quilt in your blog post is adorable! Drew me in right away :). Mom guilt..isn’t it the worst? I am glad that you are enjoying your summer this year. I think it’s funny how we as moms sometimes don’t realize that the simple things are awesome to our kids. 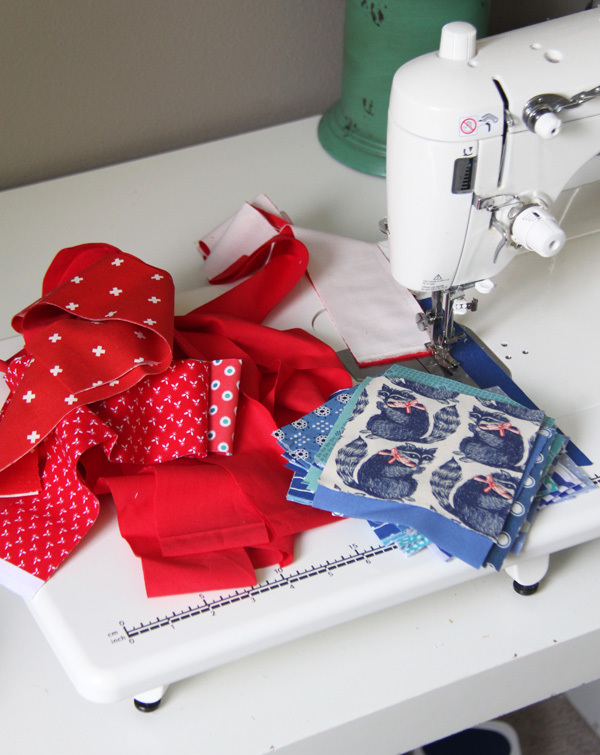 As for fabric suggestions…I can never resist a good polka-dot…or the color red, for that matter! Enjoy your kids and the rest of summer vacation. I love navy blue, aqua, and red. Love them! I have really been drawn to lots of fun basics recently. Everything from color to neutrals! The color and pattern catch my eye, but the feel of the fabric is what I really love!!! I wish I had more of a chance to buy fabric in person, but since the closest quilt shop is 2 hours away, most of my shopping is done on line. I’m pulled toward just about all color but my color of choice seems to change ever so often. One thing I look for is a piece of fabric is if it includes some kind of animal or nature element. I love green. I tend to use smaller prints. I love your flower box pattern! I’m drawn to reds and aqua. I like small floral prints and polka dots of any size. I like some contrast in my color choices. Thanks for the opportunity to win this box. It looks like fun. I like when a collection has a good variety of scale. Some blenders and small, medium /large prints. Bright saturated colors and definitely some orange. Love your box! I look for fabric lines that play well together and make me want to use them with my stash. That way the line keeps going – not just in one quilt with the line but in a number of additional scrappy quilts. It’s all about the colors, blue is my favorite! I love how the colors go together, especially bright ones in the blues family. I love whatever strikes my fancy at the moment! I love your little 9 patch finish! I am drawn to bright happy colors and prints. I rarely keep a quilt for myself, and I find most others like these colors too. I love blues, but also am always on the lookout for a great neutral that has a small bit of color but still reads as white or off-white. I love anything with green in it – solids, plaids, polka dots – anything as long as there is a hint of green. I love the green sashing in your Grassy Doe Quilt! Thank you for a chance to win. I would love to get some of your Dear Jane fabric and the pattern. I’m always on the lookout for good strong lemon yellow prints. Not gold, not charteuse, or those other yellow wanna-bees. :D Happy Summer!!!! I love a good light gray print!! Bright clear colors, not pale. Fabrics that provide texture to a quilt. Just love pinks & greens!!! I love most anything blue – and my daughter likes things that remind her of the beach, so that works out well! I love your fabrics! I am eclectic… but love small 1930’s prints updated!! I tend to lean toward green, in everything. I love chartreuse. What in the solid green fabric in that quilt? I’ve got to have it. Goodness! I would love to win a Quilty Box! I always look for stunning color combinations and well made fabric. I love aqua and teal. Have a great day! I love swirly fabrics and favor bright colors. Bright colors are my favorite. I usually pick and choose from a line of fabric, have rarely bought the whole line. What a great blog post, thanks for sharing. Turquoise!!!! Bright colors are my favs, just bought Hello Jane and I love ❤️ it!! I like smaller prints that blend well. I am always looking for good corny, sunshine-ny yellows!! I am just learning how to match colors from my 80 year old mother, who has been sewing for a long time. I love bright colors and whimsical patterns on fabrics. I like to use lots of two color prints from a line that go with a main multi color print! LOve the 9 patch quilt. I think it’s the way the green sashes make the blocks pop. The pattern in the box is also great. I like modern prints and bright colors. I am especially fond of aqua and red together. The thing I always want in a fabric line is a nice even mix of dark, medium, and light values. This is surprisingly rare in a collection so I usually have to supplement it. There is typically a scarcity of darks in a fabric line. I love bright colors! I like prints I’ve never seen before. I like dots, text prints (actual text from books in the public domain), interesting selvages. I like originality. I work in a quilt shop and see lots of fabric that looks the same. Give me something new! I love bright colored, cheerful fabric…the kind that makes you excited to look for the right pattern so that you can start on your new quilt! I really like the fabrics to blend perfectly together. I often buy a jelly roll or several charm packs of a line and there are often fabrics that don’t even look like they should be there, as if they were designed by someone else. That said, I love really bright reds,,blues, yellows, green, purple fabrics on white with flowers and whatever. Your Hello Jane was great. Thanks for a chance at this box ! I like it when a line of fabric has more than one good background fabric. Like a small floral or a small geometric print. I love seeing these monthly boxes. I have such a large stash I can’t justify joining! Your pattern is cute. I succumbed and finally purchased Hello Jane a couple weeks ago. I LOVE LOVE LOVE it!! I really didn’t need more fabric but so happy with my Hello Jane purchase! Love all fabrics and colors but lately it’s been the bright colors with a vintage look that I am drawn to. Nice to see your fabric & pattern in the Quilty Box! I love navy as an accent for brighter colors! I love blue in any and every shade. Soft, bright, pastel, you name it blue and I love it! I love a good tone on tone. Greens catch my eyes these days. I remember those endless summer days when my kids were small. Now I’m enjoying the Grandkids, too. The summer days fly by so quickly … thanks for the giveaway! I love bright colors, small prints and polka dots. I go for color first and pattern second. The colors drawn me in to take a closer look at the designs and patterns in a line. The support fabrics are important too. I look for low volume fabrics that enhance the line, and are useful to bringing a quilt pattern alive. I like to mix florals with stripes, checks and some solid-looking blenders, and have to have some blue and yellow. Love this Flower Box pattern, too! I love right colors and prints, but I also love reproduction type prints. Fresh clean colours especially Blues, Aquas and Reds. They need to really pop. I really like bright, clear colors. Blue is a big favorite of mine. Thanks for the opportunity. I love focal fabrics! You can get a really good, strong focal fabric and build upon it – fun to be creative with it! I love bright colors especially the ‘retro’ looks that so remind me of the 30’s, 40’s and thd 50’s!! Kinda like YOUR stuff!!! I like smaller prints and blues! I like surprises in collections, maybe one that seems to stand alone. Also I like geometric prints in different color ways that would work with other collections or in scrappy quilts. I love 30’s and 40’s! Flour sacks, tiny calicos, sky blue and soft lemon yellow! After being drawn to the color scheme, I look for a good balance of colors. Some lines have a color that is too dominant when you work with pre-cuts. I like blender fabrics, tone on tone, or red and white, or Gray and white. Stripes or plaid on a bias are great too. And I really love aqua and bright greens. Great pattern. I’ve really wanted to buy fabrics in fat eighths, but wasn’t sure what pattern to use them for. When I buy fabric I usually just buy what I love whether it is the color or print . I love bright bold colors and patterns! Blues especially. Your Flower Box pattern is wonderful and will have to make it! I love bright primary colors with a modern design. Throw in some bright white and I am good to go. All of your colors are great. Bright and pretty. First I must say that I love your Bits and Pieces quilt that you finished. I am drawn in by happy colors and that is what first catches my eye and makes me want to make a quilt. But I like putting it all together – which colorway and print will go with which pattern. It’s like a puzzle that you have to put together. I love bright, cheerful colors that make me smile. I love your fabrics because they always do that for me! I’d say something with navy, and I agree on fabrics that aren’t too matchy matchy. And maybe a cute image to fussy cut. I love a variety of colors, including some that might be unexpected. I particularly enjoyed the dash of pretty purple fabric’s in your lovely new collection. I also enjoy a grass green fabric included in a collection: I haven’t seen much of that lately. A lot of collections seem to go with grey tones: I prefer the clear colors. I always look for bold colors, and lots of variety so that if I buy the whole line, I have quite a few fabrics to work/pick from. I enjoy bright colors with geometric designs, small flower designs and anything purple. I look for fabric lines that may be good for both boys and girls stuff. Like one with cute greens and blues that can be used on their own, but also some girly colors too. I do a lot of sewing for my kids, and I have both boys and girls. Also, fruit. I am a sucker for fruit prints! I am not even sure why, they just make me smile. I love bright collections that work together with all kinds of patterns and at least one “tie in” fabric. What a great range of color and patterns. Thanks for the chance to win. I have always wondered about the boxes. I have six grandsons and am constantly looking for fabrics without flowers to use in their quilts. Anything boyish is on my list right now. I”m in love with small prints that I can use in many ways! A couple of larger floral/prints are fun—but a little goes a long way! I enjoy working with all types of fabrics. I am attracted to floral prints that are in pinks and a hint of gray. I would love to win this box because I am starting on Christmas gifts. What a help it would be. Thank you!! Sometimes it’s a print, but most times a color will grab me and make me look closer. I love when there are prints in several colorways. Small prints are best for most things I sew. I am currently drawn to bright cheerful fabrics. Lots of different colors together. a quilt block using red and aqua would be nice. I look for some good blenders – I love geometric or architectural shapes. Then at least one knock-out main print that just grabs you. For colors, I look for bold, primary colors or a range of cool tones as opposed to pastels or lots of neutrals. A few purples or grays thrown in are totally fine. I love a good gray print! Also, totally covet any fun low volume print! Usually prefer an off-white or cream background as opposed to a white one. I’m a new quilter and I’m slowly discovering what inspires me :) I love making smaller quilts so fat quarters are the size for me! I currently love colours that are in the same line so they compliment each other. As a new quilter I find that deciding on the colour of a new quilt is the hardest step for me. I look for colors that work well together, and a variety of prints. I don’t care for muddy colors, but I don’t think that’s a worry, given your cheerful style! I’m always about the bright colors. They just make me so happy! I look for the unusual in a fabric. A new or rare color, a different print or just something that strikes me! I like cheerful brights and sometimes soft pastels. Either work well mixed with a lot of white, green or yellow. Love your creations! These days, I most often look for kid prints .. especially ones that will work for a baby boy quilt. I make baby quilts for our local NICU and they typically have more boys than girls due to their lungs not developing as quickly. Fabrics with cute animal prints mixed with bright colored blenders, and of course lots of blues. I use a lot of precuts as they sew up fast. The pretty florals – like your new line – work great for the baby girls! Love to mix in aqua, greys, navy, and red! But then there are the lovely salmon pinks that are also pretty with grey and white and soft green! I’m a sucker for fabric… totally addicted! Happily so! I like colorful prints and fabrics that have good contrasting colors. I have a hard time passing up any fabric line with red, white and blue! What a wonderful post! I loved your reflections about summer fun. It underscores how valuable free time and a sense of being valued and noticed is important for all of us at any age. I also loved your contentment with doing things in bits and pieces. The Quilty Box would be a delight! I’m always drawn to clear, bright colors. I also love good color on color prints that read as solids but aren’t…and polka dots! ALWAYS polka dots, preferably randomly placed. Thanks for your blog…and for the chance to win a quilty box. I prefer bright, clear colors. Since it is Summer, I am attracted to primary mixes that include some geometric prints and blenders. Your previous lines are lovely; they feel vintage and updated simultaneously. Love bright and happy fabrics. Most of the quilts I make are for new babies or for Quilts For Kids so anything that would appeal to a child is my fave. Love your new Flower Box pattern…and love fabrics with animals on it. I love that quilt of yours!! The green was a great “stand out” color choice! I like to find combinations of colors that i might not think of myself with a combination of small and larger designs. I don’t think that I have met a conversation print that I do not like!! Thanks for a chance to win FABRIC!! I love Aqua. But I also like brights and have a good supply for kids quilts. I love bright, modern prints mixed with a good selection of black & whites. Thanks for the chance to win! I’m missing New England recently, so I’d love a fabric line full of the beautiful autumn colors there. I look for bright colors with a white background. Good for you & no Mom guilt. Kids like their parent’s attention most of all! I look for bright and cheery fabrics, plus White on White is usually my main fabric choice. Thank you for sharing and the opportunity to win a Quilty Box. Have a great day! Uh oh! My favorite color is pink, not found in this bundle of fabric! That’s ok….I need to break out and work with other colors, too! Hehe! I also love limey greens and purples together, yum! My favorite prints lately are texts and plaids and diagonal stripes so I don’t have to cut bias binding to make them work! I like bright fabrics and in a collection, I really want there to be differences in scale. And if there is something in the design that makes you look twice, that’s even better. My childhood summers were filled with long days of doing absolutely whatever came to mind… none of the modern “schedules” of today’s kids. I don’t have grandchildren (yet) but when I do I hope my daughter will follow your example. Would love to see pink, orange, yellow with periwinkle for contrast and mini florals within. I gravitate towards bright prints and usually pair them with black. But I’m trying to branch out and experiment with different fabrics and background colors. I sometimes just fall in love with quiet colors or maybe just the main design. Sometimes it is just the geometric design of one fabric in the line. Always it is something that just grabs me. I always love your mix of florals, geometrics, colors, and plaids. It is always perfect! I enjoy lines that are bold that I can add a good solid to and break it up a little. I currently can’t resist poka dots, navy, and gray. I love bright, bold colors! I LOVE turquoise and look for a wonderful set hand in fabrics. I love the same print in multiple color collections. Oh I am so excited for the Hello Jane collection, I have to purchase it when next time I’m in a quilt shop! Is “Flower Box” a new pattern? I haven’t seen this one before. It is the perfect pattern to see all the beautiful prints of your collection. Color is the first thing that catches my eye on fabrics and several color ways and textures to make me use it in different designs. Blues are my favorite colors and it is a bonus to find flower prints in blues. I use prints 99% of the time. My favorite color is blue (all colors of blue) and I find it hard to resist. I am also attracted to fabric with a bird motif on it. Don’t know why, but it just floats my boat! Have a fun summer! I like fabric collections with a wide selection of smaller prints in a variety of shapes so I can mix them with fabric from my stash. I do love large, floral prints as well. Currently, my favorite fabric colors are teal and purple (love the purples in Hello Jane!). I tend to lean toward bright colors. Teals are always nice. Thanks for the chance to win! I like a fabric line that has a combination of bigger and smaller prints. I like a good variety of colors and sizes in a line. I have a hard time picking out fabrics so I am always glad to get precuts where all the work is done for me. I’m a fan of bright primary colors, paired with a white contrast. Thank you for the give-a-way opportunity! I love to see a few prints with aqua in a fabric line. Geometrics always get my attention too. It’s my favourite ‘pop’ colour in a quilt lately. Geometric prints tend to get my attention too. Thank you for the great giveaway. I’m always drawn to an unusual print; whether it’s two colours or 20 – if it’s something I haven’t seen before I like to unroll it for a better view. I love saturated colors paired with very light values in the same range, along with a variety of print scales. I love to see bright colors and bold patterns mixed – it always contrasts so nicely with solids or whites on quilts! I love to use a white or off-white fabric with tiny polka dots on it. I especially love the dots in black, but dots in general are great to use with very colorful fabrics in a quilt. I’m taking inspiration from you for a guilt-free summer…great thoughts on that! I always look for bright, fun colors together (I LOOOOOVE Hello Jane! ), and adore bold/geometric designs mixed with softer florals. Thanks for the chance to win! I like prints that play nicely with others! Thanks much for the giveaway and for the good advice on Summer–enjoy and don’t stress! Love it! I am a suckered for any quilt with white and bright colors. Hello Jane? My interest is piqued! Thank you for the awesome giveaway opportunity! Happy summer! I love any kind of fabric that has leaves or trees on it! I’m trying to leave summer mom guilt behind too…I’ve been working on so many themed, large scale print quilts (safari animals, zombies, Star Trek) that I’m looking for smaller scale prints and cheerful solids. Thank you! 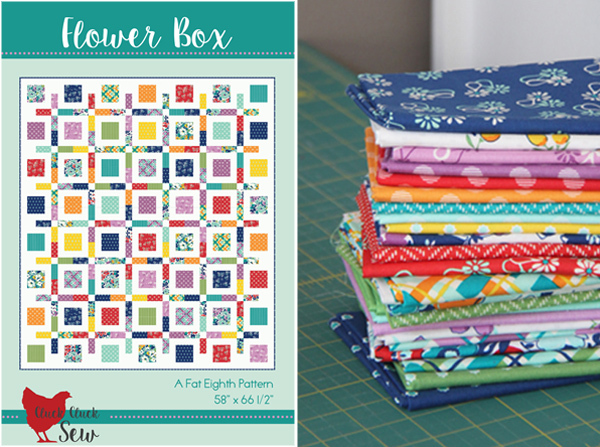 Love Flower Box but that 9 patch quilt is just the idea that I was looking for. I have made zillions of scrap quilts and that will be my next one! I think that kids are very overscheduled. My granddaughter is just so happy to play with her Lagos, dollhouse, clay, etc. She s happy to go to the beach or to an event but really enjoys those lazy days…. I love tiny florals so I am always drawn to fabric that has pretty little flowers, and gingham, never enough gingham! When I look at a line of fabric, I look at how well they look together, but also if there are many that will play nicely with other lines or designers. I’m a quilter, so scale is always important. I like to bind my quilts with a striped fabric or something in gingham–but cut on the diagonal. It would be neat to have a fabric that is printed with the stripes on the diagonal. Then the binding strips could be cut across the grain of the fabric which is easier and requires less fabric. I guess I have become an equal opportunity fabric picker! But I have to say, I do love a nice tiny polka dot binding. I seem to be drawn to “fall” colors and smaller prints. Than you so much for the chance to win such an awesome gift! I am kind of eclectic on what I like. Small florals are nice for a supporting role, as are interesting geometries but I love the riot of large scale multicolored fabrics too. What I love about your work is your ability to do scrappy quilts with seemingly dissimilar color and make your quilts look cohesive. I’m still timid and learning. Oh, my favorite. That is very hard. I am attracted to reds and pink. I also like green, and yellow. I like medium and light blue.. I am loving bright colored fabrics right now. The brighter, the better! I like something with just a touch of quirk to it. I love green, especially with all its bright friends! I look for bright colors and graphic patterns. Love all blues, especially turquoise. Fun/retro graphics. 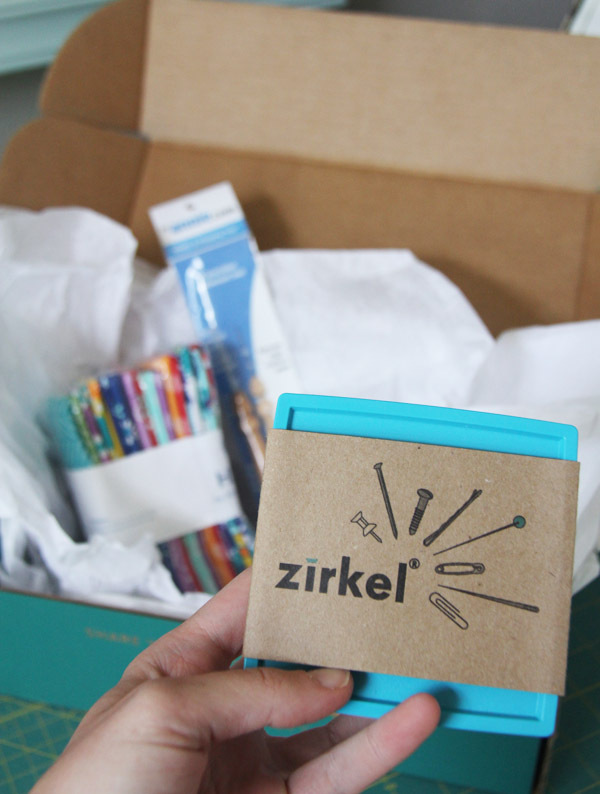 Thanks for the chance to win the quilty box! I love bright fabrics and pretty prints! I’ve made several of your patterns for baby quilts. They go together so easily. Thanks for your great tutorials! I love all types of patterns and bright colors! I look for nice bright colours, some small prints, good blenders and an orange in a fabric line. An awesome stripe or plaid for binding is a bonus! Have a great summer, and thank you for the giveaway! I look for a ine f fabric that is versatile, that will blend with other fabric lines and look fabulous. I rarely manage to purchase an entire fabric line. I love polka dots and never tire of them! Can’t wait to see your next line and I always love your patterns!! Blues are my favorite. I love paisley prints. Love bright, cheery prints and always love a good calico! I like colour, usually saturated rather than soft. I think colour is often what makes a quilt “pop” for me, more than the pattern used. Geometrics, polka dots, green, grey, & black & white are some of my favourites. I love most collections that include red – simple red & white; red, green & taupe for Christmas; etc etc! I love the bright colors and lots of texture. Since I love to make scappy quilts I prefer lots of different prints that play well together. I like small prints and dots. lots of neutrals and pinks. Love your 9 patch quilt. I love the rich gem colors and then a softer color that goes with them. I am always drawn to fabric collections that will make wonderful baby quilts, have polka dots, have the color blue or go with things I already have in my stash! Which pretty much means I love a lot of different things. Thanks! I always look for bright colored fabric. It makes me smile, and I feel happy when I sew with it. I like collections to have a variety of colors that coordinate and contrast with each other. Some neutrals, plaids and dots are some of my favorites. I like to see bright, happy colors and a fun print. Glad you are enjoying your simple summers with your kids – they grow up way to fast and quality time together is better than constantly on the go, trying to fill the days with activities. As for fabric, I really love different shades of blues but, I particularly like lines with a variety of prints – both scale and pattern and I love a good plaid (even a check) or a polka-dot-ish pattern mixed in. I love the lavender you used in Hello Jane! It’s not a color I see often and is a happy bright color! COLOR is usually the first thing to grab me for a fabric. i like true colors… not greyed or too pastel. i love most colors but use little yellow and orange…. just as a pop in a quilt. mu favorite color is BLUE!!! DAISIES always grab me!! my mom’s name was Daisy and we have LOTS of daisies everywhere!! I love your collections as they have such a happy feeling to them! Please add purple again!!! Love the quilt. 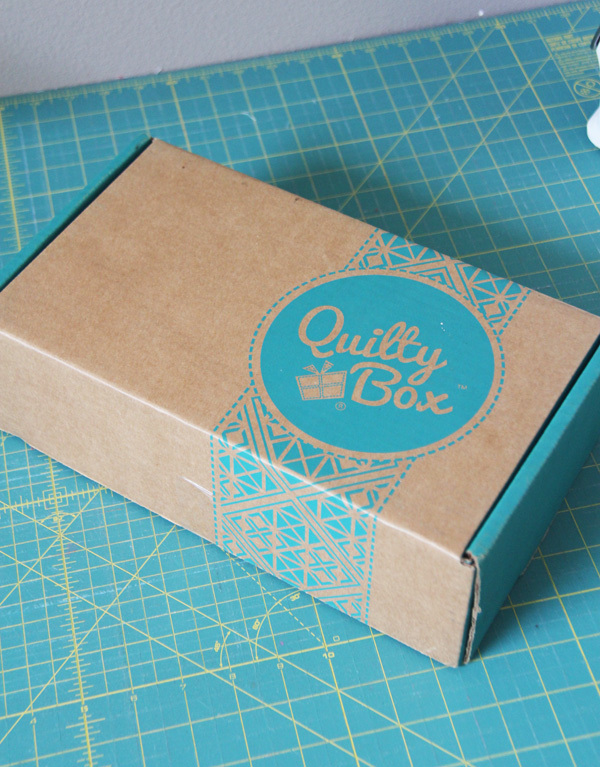 Would love to try a quilty box! I love good scale and color depth variation in a fabric line! And of course, my favorite color, purple! I always gravitate to aqua/teal & just about any blues. I enjoy the softer colors – like the 30’s – with many plains added in…. I love small, all-over prints, Especially florals and animals. I love the aquas, blues and greens! I’ve been loving greens lately, and almost more vintage prints!! Love your Hello Jane, and this pattern is one of my favorites! Ahhh… blue and white and stripes are always a favorite and get used up way too fast! I don’t know how you can improve this last Aqua and purple you did! I bought a half yard bundle of the whole line, with extra yardage. I love the flower prints of the 3 main colors but I would sure love to have that pattern. Hello Jane was my very favorite line this summer!! Thank you so much! I’m glad you are having a nice summer. We have traveled to several Federal parks and it is nice. Trying to quilt in a trailer has its obstacles, and having alone time is even harder! I know your next line will be beautiful but don’t forget some purple! Thank you! I’m so glad you liked it and yes…I’m sure sewing in a trailer is tricky but oh so worth it…I’m jealous! Have so much fun!!! I like a lot of tone on tone prints. I guess I lean toward the traditional prints, but I also like bright colors and 1930’s prints. A rich blue is my favorite color. I like lots of tiny prints and solids that will go with them. I look for solids every time I shop. Love your patterns. Love bright colors for summer! Thanks for a chance to win! I am new at quilting and have such a hard time with color selection…so I just try to look at tutorials and examples and match as see what they’ve had success with. I know, I’m so uncreative! But, your Pink Classic tutorial was the first quilt I ever tried and I turned out so pretty! I’m now working on one using the same pattern but with yellow and gray…can’t wait to see how it turns out! I love your fabrics! Wallflowers is still my favorite – the color combination is perfect, especially that navy blue! I also like your polka dots, that have two colors in the dots. I think you would create a great line of fabrics that would work well for boys. After your fishing quilt for your son, you know just what would work for boys, and still be fun for moms to sew! I love having little x’s as a repeating pattern. And I also love a palette with masculine colors. All your fabric is gorgeous! Purchased your Hello March pattern yesterday. I love bright colors paired with white. Using yellow, orange, green and pink to make Hello March and it is Fat Quarter friendly. I like the bright modern geometric prints and also black and white prints with a pop of color. My favorite colors are dark teal – aqua, purple and coral. I have only been quilting for a few years and sew when I get a chance. I like easy big block patterns that go quick! I normally go for prints in cheerful colors. Also like tone on tone neutrals, esp blacks and whites. Earlier this year I stepped out of my norm and purchased some solids, and I’m going to make a quilt of all solid fabrics, which I have never done before in 20 years of quilting! I am a visual person so the colors that have a contrast and will pop when placed together always attract my attention….but red has got to be my favorite. I love unique colors that are not easy to find in modern fabrics: sunny yellow, bright teal/aquamarine, a bold fushcia, etc. Can’t quilt without some stripes and polka dots. I LOVE all fabric. At 73 I am into polka dots, stripes and cabbage roses and black ……I know, I know!!! I love all of the bright colors! You can use all of the fabrics together or each one would be happy being put in with another grouping. I love the whole line!!! i love blues/teals/aquas in pretty much everything and i like lines that have some good blender/geometric type prints. Thank you for the sweet give-away and all the amazing ideas! I love purples and dark blues. I can never seem to find enough of an assortment especially since I really like small florals and old fashioned prints like paisleys. Thanks for this opportunity to win one of these wonderful boxes. I love the aquas and minty greens, I don’t like black in my quilts. The bright colors are awesome but my favorite thing is how the variety of fabrics make it doable for a boy or a girl depending on what you coordinate l. You did a fabulous job on this line 👏 Thank you! Ooh, I love navy blue and little tiny flowers. Those get me every time. I love small prints and green is my favorite color. I also love the hello Jane fabric line. So pretty! Pastels and smaller or delicate prints. Although, I’m always a fan of red! I woke up one morning about a year ago and I loved orange–for the first time–and I still love it with pink, red, purple…. I loved your children’s reaction to their summer of fewer activities. Kids know how to enjoy summer better than we do! I absolutely adore your lines so far, so I’m sure you need no help with this one. I like saturated colors with a muted undertone. Having a range of print scale within a collection is great. I would love someone to design a collection with the print scale based on a charm pack or a mini charm. Almost like you fussy cut the design to fit that size. 2.5 inch would probably be better to accommodate jelly roll strips. How awesome would strip piecing be then?! Thanks for the opportunity! I love saturated, unmuted bright colors. I like red in a fabric line and a plaid is always nice. Navy, red, Aqua and pink. Your fabrics are always beautiful! I love happy colors that include red and yellow! I love soft muted colors with small prints and large prints to match. Still new at this but loving every new thing I am learning! I’ve been loving fabric collections that are lots of bright colors with small scale prints on them! I love bright colors,especially orange and green, with blenders mixed into the collection. I love bright colors ( although you would not notice if you saw my stash) and especially purple. I’ve never tried a subscription box, never sure I’d like what it contained, but you have me intrigued. I am a red-white-and blue fan myself, and where did you get that darling blue raccoon fabric?? Love it! Retro always has me at first glance! Thanks for a lovely reminder to refuse mom guilt; my munchkins love to just “be” too. I love the idea of a quilty box. But I loved your summer storey – as moms we do stress over making sure our kids have a great summer. What a good lesson for you, sometimes, they do not want to be so busy they miss just hanging out. And it does make summer more enjoyable for all. If you are not already doing it, make your own popsicles and see what favorites you end up creating!! Love the quilt shown at the top of this post!! 4 patches are so much fun, and people seem to forget how many ways they can be used. Have a great summer and that July quilt, well, that one will be ready for next year. Here is to making this summer all it can be. I got my Quilty Box and I already have all the Fat Eights cut. I have the white and will cut that out today. I’m not usually a modern bright fabric person but this line is lovely and this will be a great quilt. Thank you! Your colors make me smile! I look for geometrics, stripes, plaids and “blender fabrics. I love yellow and pink and lots of flowers. Thank you for the opportunity to win a Quilty Box. I love a lot of colors, turquoise, teal, pinks, magenta, reds, greens, purples, etc. I tend to make small things as I don’t seem to get much accomplished. I do a lot of Redwork and crayon embroidery. I love your pattern so would love to win. Thank you again. I look for a lot of coordinating colors with variation to the scale and pattern size. Thank you for the chance to win. I have fallen in love with bright prints that lift my spirit. Lovely fabric! Thanks for the giveaway! I’d love to find a fabric line with a definite 50’s feel to it. Love those old reds, teals and greens and the whimsical characters… thanks for the chance to win this month’s Quilty Box. It’s definitely a winner! Reds,aqua, yellows, small and medium prints, bright happy tones .like your patterns too. Love your scrappy, HAPPY fabrics and patterns. Reds, aqua and yellows, bright and cheery. light pink and navy really catch my eye in fabric. I look for polka dots – I make sure they are in every quilt I make – I love them!! I love neutrals or low volume what ever you wish to call them with just little pops of color. I pretty much like all colors but I prefer them to not be muddy or muted! I usually go for sunny brighter colours but I can’t resist a good novelty print. I am drawn to red and aqua. I love modern prints and geometrics. I love your bright easy quilts with pretty white backgrounds. It is hard to say that I like a certain color! Like my granddaughter, I like all the colors in a rainbow. The feel of the cloth is very important to me! I don’t use a single line very often. I love being able to mix a wide variety of prints together. Right now, blues are my favorite. I have been enjoying finding just the “right” fabric for making quilts for family and friends, making it personal for them. Your colors and designs are wonderful! Thanks for making my fabric hunt easier! I love simple prints without an overwhelming amount of colors. I love red! Most of my favorite quilts have red in them, but most of my favorites are also a rainbow of colors and very scrappy. I prefer fabric lines that have a variety of prints and colors so that if I make a quilt from a precut it looks like I pulled from my stash for a scrappy quilt. I love polka dots, small florals, plaids and stripes. I don’t usuallly choose large scale prints, I like small and medium. I can’t wait to see your new line!!!! I like when the line has a neutral or two in it so I don’t have to shop for some. A quilt always needs a place to rest the eyes from all the busy fabrics. I buy fabric lines with colour (but not too bright or pastel) and texture. And rarely buy a large print, unless for something specific. And small novelty prints for baby quilts. Like the fabric colors and would love the Zirkel as I’m always getting pricked by pins. I look for a good range of scales of prints. I am loving the bright crisp colors of your quilts! I love Polk dot prints and tiny flowers. Anything you make a beautiful! Thank you for the chance to win. I enjoy your blog so much. I love blues and greens! I love color, and I like to include hues that are a little more sophisticated than primary and secondary colors. Plum, gold, salmon, coral, chartreuse, chocolate brown, etc. What a compliment to your parenting that your kids enjoy being at home with you! The colorful 9-patch is very clever and the sashing really adds to the quilt overall effect.